The Terrible Twenties are a time when everything is changing, from your job, to your friends, even your skin seems to be behaving in unexpected ways. 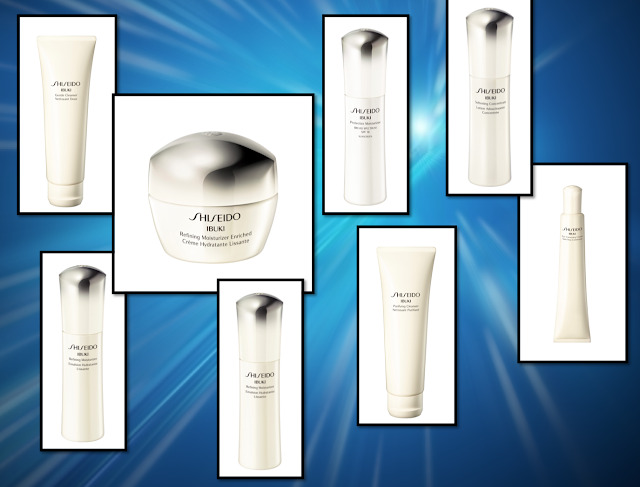 While you may need therapy to address some of these issues, Shiseido has your skincare covered. Introducing the Ibuki collection (launching everywhere in September). The line is designed specifically to address the unique skincare concerns of “millennials,” women – yep, a line created just for you. Ever notice that activities that used to rev you up, like pregaming and laying in the sun – are suddenly slowing you down and taking a toll on your skin. The bottom line is that your fast-paced lifestyle (ahem, late nights, unbalanced nutrition, and stress) combined with external factors such as UV rays and pollution, are perpetuating a negative cycle that prevents healthy cells from emerging. Literally translated to “inner strength,” Ibuki corrects imperfections, strengthens skin’s resilience, and helps fortify on the cellular level to achieve smooth, trouble-free skin. After four weeks of use, 96% of women surveyed felt that their skin was in its best condition ever. This potent concoction is fortified with PhytoResist Complex – a powerful combination of botanical extracts work to prevent cell shrinkage, eliminate excess cells, and promote healthy, new epidermal cells.